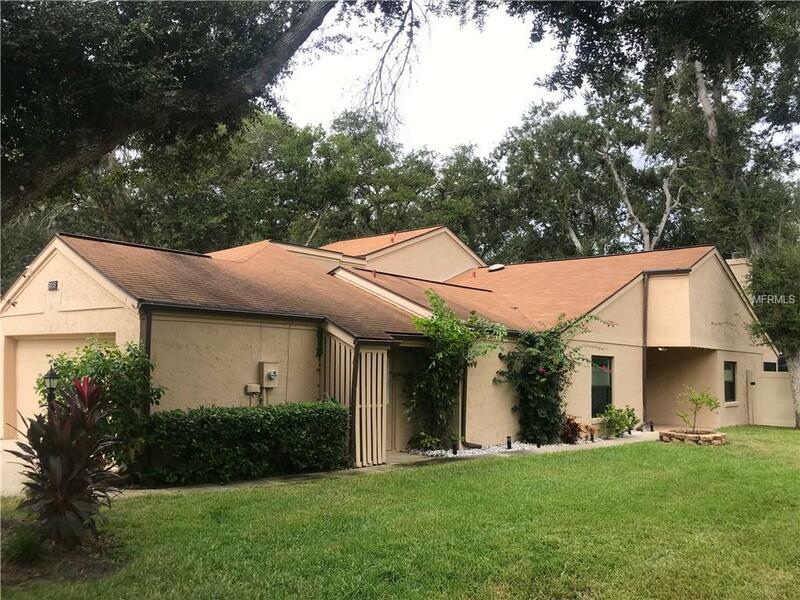 This is a beautiful 2 Bedroom, 2 Bath town home with a 2 car garage in desirable Port Orange area, waterfront community Riverwood Plantation! House is move in ready condition with beautiful wood laminate flooring, a master shower with large tile and glass shower doors. The open floor plan allows you to enjoy wood burning fireplace from the living room as well as the kitchen and dining areas. There is a breakfast bar, kitchen nook and formal dining room. There is a small private atrium of both bedrooms as well as a screened porch overlooking the back yard with french doors from the living room. House has spacious attic, which can be turned into a room. The lawn is maintained and the exterior of the home is painted every 4-5 years. Renovations include washer and dryer, and newly installed windows. The community has a dock, a boat ramp to Spruce Creek, pool, basketball and tennis courts, playground and clubhouse. It's the perfect new home for YOU!